New York City is a true haven for small to medium business (and businesses of all sizes, for that matter), and the advantage of living in a city with so many places where to network is that you will be able to find a massive amount of places where to network and host business meetings of all kinds. Whether you want to host your business meeting in a hip Brooklyn restaurant or want to remain right in the hassle and bustle of Midtown Manhattan, there are many opportunities to turn your next team meeting into a truly unforgettable experience. Roberta’s: Roberta’s is currently one of the most trendy pizza restaurants in NYC, and the vibes are really fun: this isn’t your average NYC slice, but a rather gourmet, Neapolitan-inspired pizza that will blow your mind. The locale is huge and you can book large areas for even the largest meetings. Courtyard by Marriott: a very upscale place that does not only offers great food and a cozy space, but also amazing facilities such as great free WIFI and a full-scale business center for all of your meeting needs, right in the middle of Manhattan! Tutus: this cozy bar also serves amazing food, inspired by classic American fare with a southern touch. The restaurant is located in one of Brooklyn’s hippest neighborhood, Bushwick, and it is just a 5 minutes walk away from a mainstream subway line, making it a perfect spot for a meeting. There is a nice large room in the back, which can also be booked for meetings and other special events. Cipriani: Probably one of the most expensive and well-known restaurants in NYC, this is a great place for anybody looking to impress on a business meeting. Shake Shack, Madison Square Park: A meeting in a fast food restaurant? Ok, this might sound rather unorthodox, but meeting in the middle of stunning Madison Square Park on a sunny day is absolutely priceless. During the weekdays, you could grab a meal and sit outside with your team, enjoy the energy of a good day for some amazing experiences and for a unique NYC memory. Human Resources encompasses a set of truly vital processes for your business, but the odd thing is that HR is often overlooked, particularly by smaller businesses. You might think that if you have a great idea and a great product, you are set and ready to carve your space in your market niche, but driving a business and making any product or service successful is a herculean task, let alone if you embark on this journey without a great team behind your back! HR is not only about finding the right people to work with and bring an influx of talent into your own company, but also about turning these talented minds into an amazing team and form common goals. The name “Human Resources” is pretty revelatory in itself. This list of 5 engaging, clever and thought-provoking books will finally help you seize your most precious business resources: the humans that are a part of your business! This particular book is very informal, but don’t let the friendly and discursive tone fool you: “Never Eat Alone” is a goldmine of sound business advice, which explores several areas of HR management, starting from the important concept that your business is made of people, and people have needs, feelings, priorities and goals. Any successful business should address the above things and make them work in the favor of the business. This particular publication is almost like an extended tutorial: it is easy to understand, hands-on and very in-depth on many issues, but in a way that you do not need to be particularly business savvy to be able to understand. Thought-provoking, innovative and even fun to read, this book will teach about great HR practices and strategies by portraying some amazing example of successful people who truly set out to leave a mark in their particular industry. What do they all have in common? Innovative HR management. There are hundreds of perfect icebreaker questions out there, and it’s for a good reason! You’ll love these questions that encourage team building. When you get a group of people together, no matter how talented they may be individually, it can be awkward at first to bring everyone to the same page. Friendships and working relationships will form over time, but if you want to build the strongest team possible, sometimes it takes a little encouragement. That’s exactly why these icebreaker questions work. Use them to get your team comfortable with each other, and well-bonded. The closer they feel, the better they will work together. As a result, you’re likely to see more success throughout your business, as you create an environment that will ensure everyone loves coming to work each day. 1. What sport would you compete in if you were in the Olympics? 2. If you could choose any person from history to be your imaginary friend, who would it be, and why? 3. You can have an unlimited supply of one thing for the rest of your life – what is it? 4. What fictional world or place would you most like to visit? 5. If you could live in any country, where would you live? Again, these are just a few questions to get you started. As stated above, there are endless possibilities when it comes to creating questions that will get your team thinking, connecting, and growing together. Use these five icebreakers as a way to jumpstart that bonding experience, and encourage working relationships throughout your business. The more comfortable your team is, the better they’ll be able to work together, and that can start with something a simple as a great icebreaker. The best way to build a strong business is to first build a strong team. Your company is only as good as the components putting it together. That’s why team building itself remains such an important aspect of what businesses actually do. It’s not enough to simply hire people and train them. Instead, training them to work together for a greater purpose is the key. For centuries, everyone from famous writers, notable scientists, to athletes and CEOs have recognized the importance of strong teamwork, and just how necessary it is to reach a higher level of success. Because of those successes, most people are all too willing to share their thoughts and opinions on team building, no matter the industry you may be in. Looking to get your team inspired? Let’s check out five inspirational quotes to rev up your team’s motivation. You can use them as so much more than just ‘quotes to hang on the wall,’ or to send out to your team: Use them as your mantra, and make sure everyone is on board with the message and goal you’re trying to reach together. This prestigious multinational brand is headquartered in NYC and it is a great place to work for anybody looking for a taste of the big time. If you are conscious about social issues, this would be a great job opportunity for you. If you are looking to work within an established financial institution, this is your ticket! Sheryl Sandberg, the COO of Facebook, gave a TED talk in 2010 to share “advice to women aiming for the C-suite.” Since then, she has launched a movement encouraging women to “lean in” and take on the challenges of building strong careers. Her 2013 book, Lean In: Women, Work, and the Will to Lead, shines the spotlight on one vital ingredient in team building: communication. Sandberg discusses this topic many times throughout her book because she recognizes that in order to forge team bonds and make change, communication is key. Here are five quotes from Sandberg on the power of teamwork and effective communication. The Wing, a new co-working space designed exclusively for women, is opening in NYC. The Wing is located in the famous Ladies Mile Historic District, the Broadway stretch that turned into the prime shopping destination for New York women in the 19th century. Having served as a sign of women empowerment in the past, the location is now revitalized by the Wing’s female team who strive to develop it into a flexible space encouraging communication and personal growth. The Wing’s founder, Audrey Gelman, has professional experience as a political and public relations consultant and came with the idea after struggling to find a place where she could do her job while feeling ‘at home’. In a society where the rules have been historically written by men, the Wing offers an alternative – a home-base for all women, designed for genuine connection and utter convenience. The Wing’s team strives to establish the location as the prime offline destination where women of all ages and backgrounds can build their careers, skills, and relationships in an environment encouraging a sense of female empowerment. Currently, the Wing offers more than just co-working space. On location, women can find a living room to relax, unwind and get ready to conquer the world, secure storage facilities, various programs and events dedicated to inspire and educate, as well as numerous opportunities to grab a delicious snack, a charging station, and even a lactation room. Women can apply and take advantage of all the amazing amenities and base of the Wing for a monthly fee of $185, or an annual fee of $1950, with all memberships offering being annual commitments. Everyone knows that team building is an important part of keeping a business afloat, and successful. Your organization is only as good as the employees running it day in and day out, and the more confident, comfortable, and motivated they are independently, and as a group, the more benefits will arise within your business. Let’s take a closer look at a few different ways you can motivate your team to do their best, and work together to become more successful than ever. Whether your employees are excited about ‘team building’ events, or a little hesitant to get involved, be sure to include everyone in the group whenever you plan something. It doesn’t have to be a huge event – in fact, it could be something as small as a ‘Secret Santa’ gift exchange at Christmas, or an in-office giveaway. Do what you can to make sure as many people as possible are involved. It will help to boost spirits, and it’s likely to get someone who may have originally been uninterested on board. This is probably the biggest component to this short, but important list. Having fun wherever you work practically ensures that your employees are not only going to be in good spirits, but do a better job for you. No one wants to come to work everyday and feel miserable. Having team events, holding parties, or just randomly inserting fun things into the day (like getting pizza for the office, etc.) can make a huge difference. Don’t be afraid to let loose once in awhile. Your happy employees will reward you for it with better work. Some of the most successful companies today allow their employees to essentially ‘work when they want.’ Now, that doesn’t mean they only come into the office for an hour each week. But, there aren’t strict rules about when to come in, and when to go home. Not only does this tend to encourage a creativity flow, but it takes off the grinding pressure that many employees who work a 9-5 job typically face. When someone doesn’t feel pressured and stressed about their work, their production can soar. If you can make it there, you can make it anywhere. New York City is one of the most culturally diverse, entertaining, and exciting places in the world. Are you ready to test your HR skills against the best and brightest? New York City is the place for making the move that takes you to the top of the human resources field. Be the best or get left in their dust. These are five of the many HR manager opportunities in New York City. This is the headquarters of the Nestle coffee franchising business. The opportunity involves finding the appropriate people for all functions in the organization. This is a perfect start to the big time for a person with two years’ experience. Taleo system experience and experience dealing directly with recruiters are mandatory. Position is a great chance for multinational experience, continuing education, and travel. Join one of the top international catering companies in the world. This job has plenty of opportunity to travel and experience the culture and cuisine of every tourist Mecca in the world. You need five years’ experience minimum as the head of H.R. You will have 300 direct reports across the globe. Understanding of U. S. law, international law, and the psychology of service are strongly desired. Hands on style, multilingual, and strong computer skills are required. HR manager for one of the most respected and financially productive investment organizations on Wall Street. Position involves total H. R. function. Recruiting, hiring, policy development, and H. R. generalist experience required. Five years’ experience with emphasis on payroll and benefits administration are mandatory. If you can do it all, then you can get it all in this position. Large salary and extensive perks are provided. Do something good for the less fortunate in all of New York State from the headquarters in New York City. The position is responsible for all H. R. policies and decisions. Incumbent reports to the board of directors. Position requires a master’s degree in H. R. or a closely related field and 10 years H. R. experience. Union relations experience is a necessity. Position involves coordination of volunteer efforts in terms of safety and compliance. This is a perfect combination of money and power. The position is responsible for all H. R. functions from Vermont to West Palm Beach. Extensive travel is required. An understanding of the variations in state H. R. regulations is a must. B. S. in H. R. and 10 years’ experience in a senior position are required. An understanding of bank operations is also mandatory. 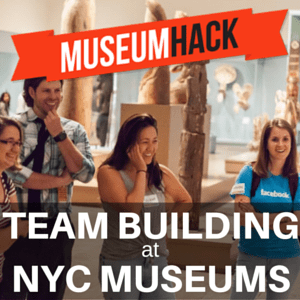 If you’re here on TeamBuildNYC.com, chances are, you understand the importance of building a strong, cohesive team – and you appreciate the fact that this isn’t always an organic process. In a recent post for Fortune.com, Glassdoor’s CEO Robert Hohman gives his advice for how you can build your best team yet. Hohman, who previously worked at Expedia and Microsoft, has three majors takeaways for managers looking to revitalize their employees.